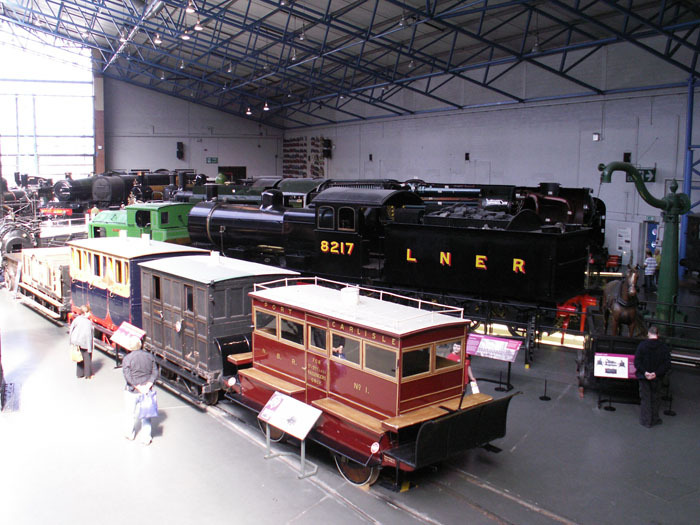 Opening in 1975 adjacent to the mainline York station site, the Museum houses a large historical collection of locos, stock and artifacts in a sprawling site and a vast collection of documents and photographic collections which are, sporadically, available for viewing and/or research. 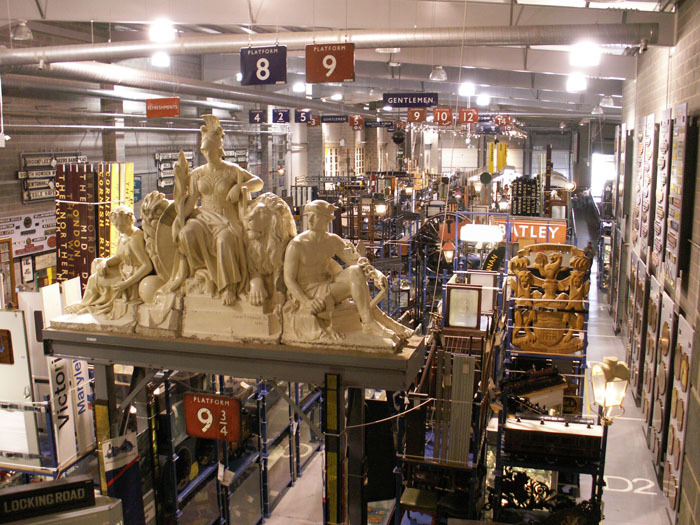 The Museum is now forming part of the British National Museum of Science and Industry and, on a personal note, seems perpetually in state of administrative chaos and hyper-inflated pricing structures for access to, and copies of, ephemera from its archives. That said, it does make for an interesting, if a little overly cramped, place to visit. 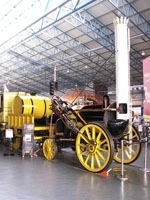 Exhibits in the Great Hall viewed from the entrance to the Flying Scotsman Story. 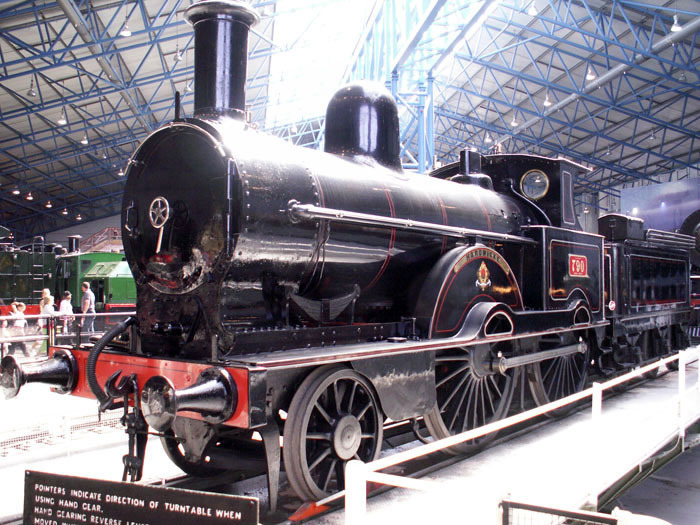 LNER No.8217 0-6-0 steam tender locomotive designed by James Holden for the Great Eastern Railway in the Great Hall. 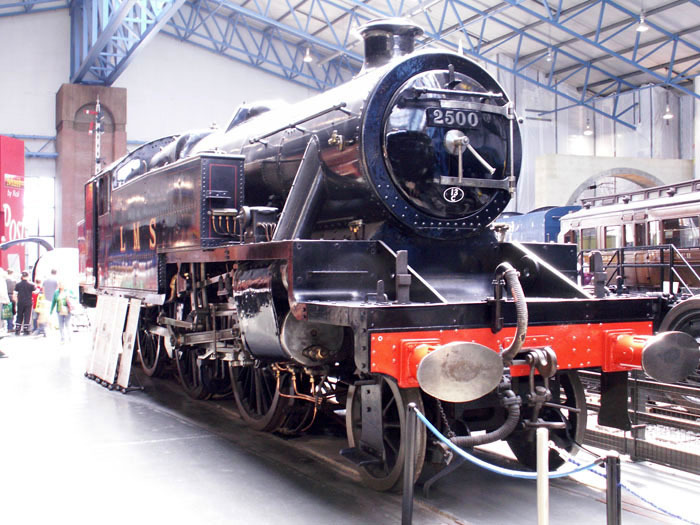 Stanier LMS 3-cylinder 2-6-4T No.2500 in the Great Hall. 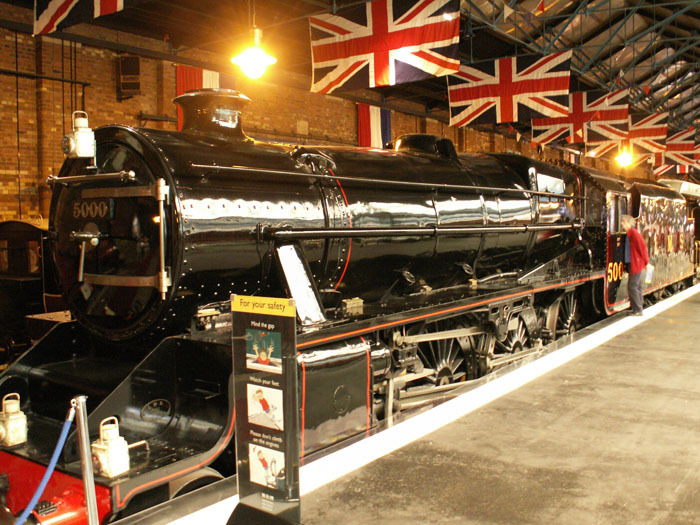 LNWR Improved Precedent Class 2-4-0 No.790 'Hardwicke' on the turntable in the Great Hall. 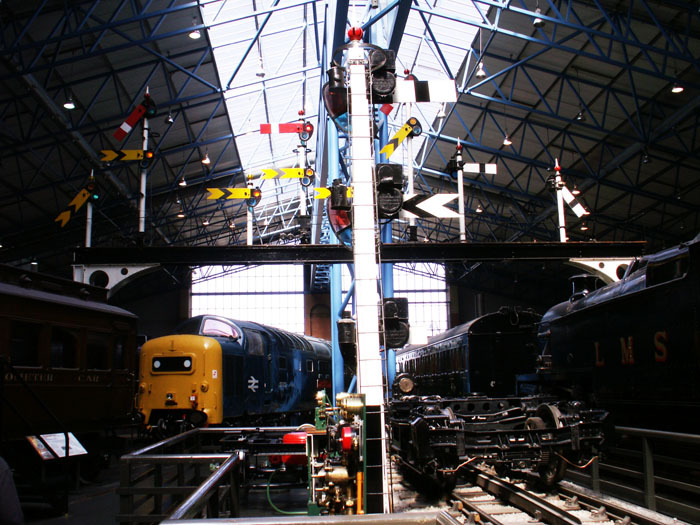 An impressive semaphore signal gantry and Deltic beyond in the Great Hall. 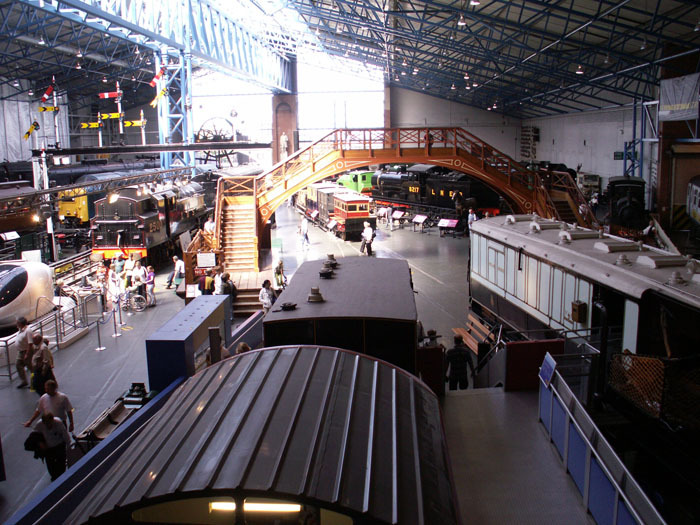 The Warehouse, a treasure trove of railway ephemera and artifacts. Rebuilt Merchant Navy class 4-6-2 No 35029 cut-away to see the internal workings of the locomotive. 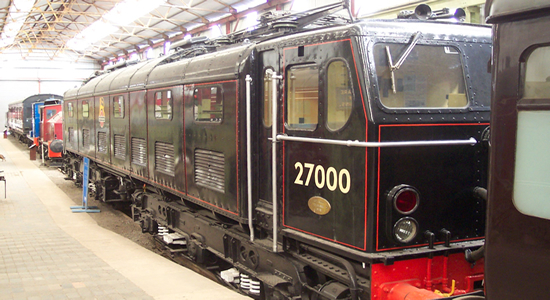 LMS Class 5 No.5000 retired from service in 1967 and arrived at the Museum in 1975 following 8 years at Clapham British Transport museum. 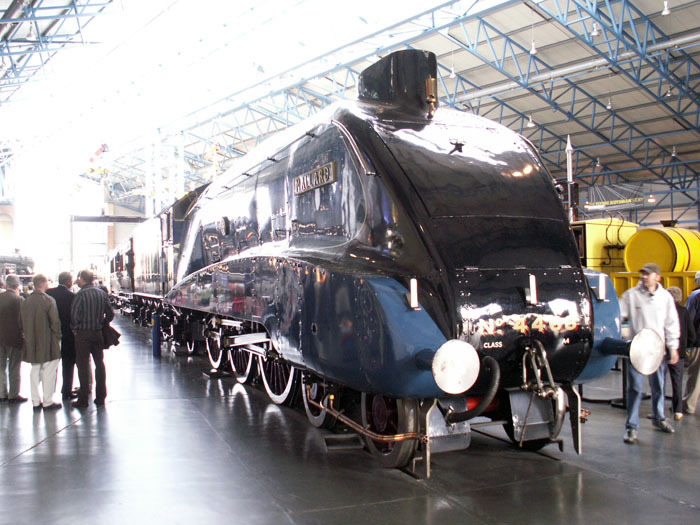 LNER Class A4 4-6-2 Pacific ' The Mallard' in the Great Hall. 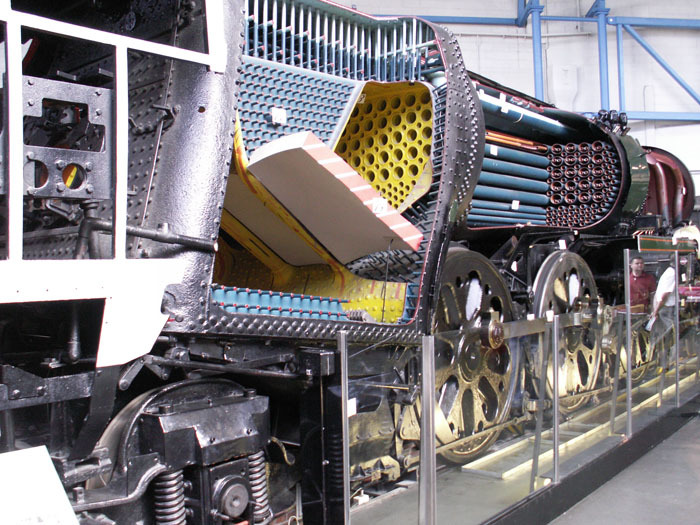 Holder of the steam loco world speed record - 126 mph in 1938 - the loco is non-operational but well worth seeing. 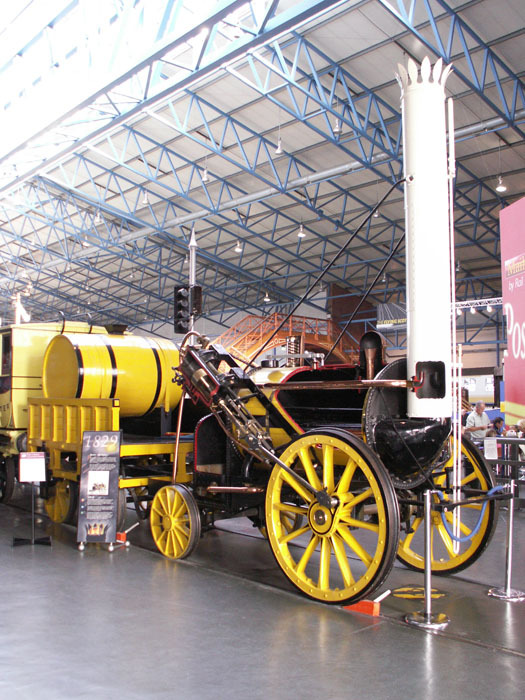 One of the most famous steam locos of all, a replica of the Liverpool & Manchester Railway 0-2-2 Rocket - or 'Stephenson's Rocket' as it is better known - is seen here in the Great Hall.